Businesses are the main targets of cyber crime, which is costing the economy around £27bn a year, according to a report from the Office of Cyber Security and consultancy Detica. Companies bear the brunt of online crime, which costs them £21bn, while the government and citizens lose £2.2bn and £3.1bn respectively, said the study. 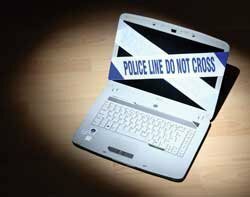 "Crime has gone digital and the biggest loser is industry," said Baroness Neville-Jones, minister of state for security. "As a country we need to do more to combat cyber crime, it is clear we do need a more sustained effort." The government said it is working with the private sector to increase cyber security. On Monday it met with Barclays, British Airways, HSBC, Tesco and Symantec to discuss the best strategies. "It is both a national security and commercial priority and both sides need to work together to strengthen our existing resilience," said Baroness Neville-Jones. In addition to the private sector partnership, £650m was recently earmarked by the government to fight cyber crime. Responding to a question concerning the threats of alleged Chinese state-sponsored hackers, she said state players were clearly active in regards to intellectual property theft. "But the government is not interested in having a barney with international players; defence is going to be the big message," she said. Industry must wake up to the threat of cyber security and a partnership will encourage companies to share more information on risks without the danger of damaging their reputational image, she said. Education will also be vital in tackling the problem. "It's fair to say many companies don't know what normal and abnormal functioning systems look like," the minister added. The government's primary focus will be the impact on the economy rather than the perpetrators, as attribution of cyber criminality remains difficult due to the anonymity of the internet. "The first thing we've got to do is build a defence and make ourselves less vulnerable," said Neville-Jones. Concentrating on security measures and disrupting hackers' systems will be the most effective tools in targeting cyber crime, she said. Intellectual property theft was identified as the biggest area of cyber crime (£9.2bn) in the report, with pharmaceuticals and biotech, electronics, IT and chemicals identified as the sectors hardest hit. This was followed by industrial espionage (£7.6bn), with financial services, mining and defence the sectors most prone to this form of crime, extortion (£2.2bn) direct online theft (£1.bn) and theft of customer data (£1bn). The report follows a recent proposal from foreign secretary William Hague that Britain should host an international summit on cyber security later this year.